Free crochet butterfly patterns, crochet beautiful butterflies, crochet cord with butterflies. 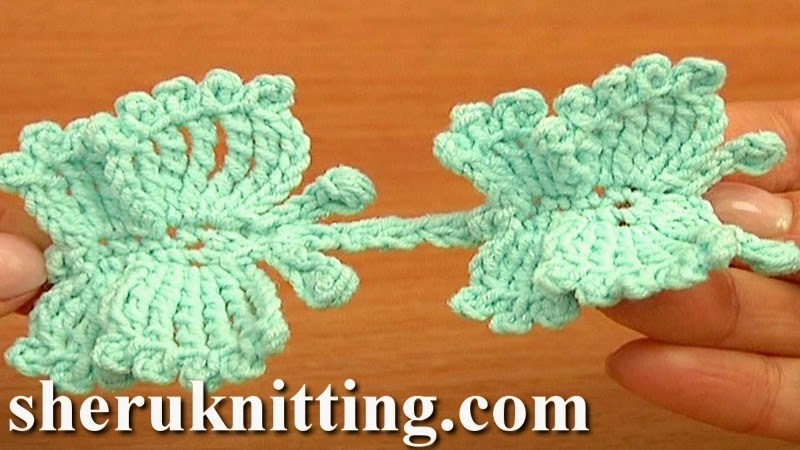 In this crochet video tutorial you will see how to crochet small and large butterfly where the difference is in crocheting wings. Butterflies are connected together with a crochet cord made of chain stitches and double crochet stitches. You don't need to cut off the yarn once you complete the butterfly, work in one-go-technique to make a cord with butterflies the desired length. You can change the distance between the butterflies by making more or less sections of the cord. Also with this tutorial you can crochet a completely different looking butterfly if you won't work picots. Thanks for watching!